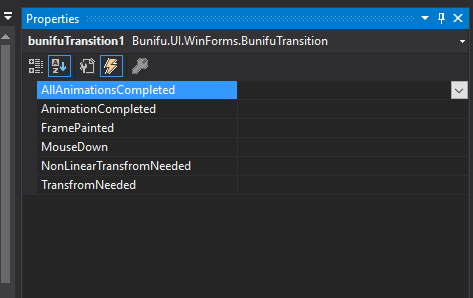 Bunifu Transition is a special component that allows developers to provide beautiful transitions in their Windows Forms apps. 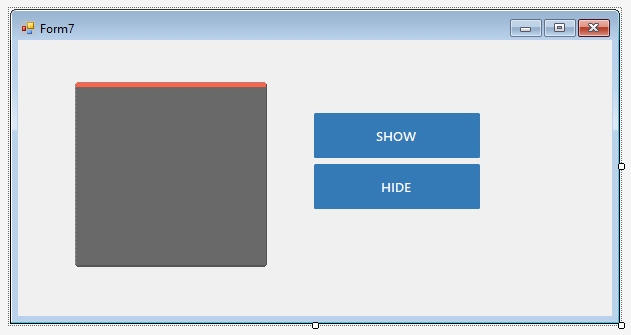 With this UI component, you can animate the display of any Bunifu, Windows Forms, or other third-party controls at runtime. To use Bunifu Transition simply locate it in your toolbox and drop it to your form. 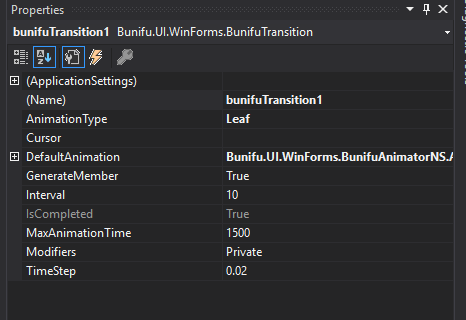 Bunifu Transition allows us to apply transitions to controls. In this example, we will use one Bunifu Card control and two Bunifu Button controls. When we press the Hide button, the Bunifu Card control will disappear in animation whereas when we press the Show button, the control will likewise be shown in an animated way using Bunifu Transition. Using the event handler for the bunifuButton1 , we call the ShowSync method that performs the transition applied on the control given by the first parameter. The second parameter is a boolean flag called parallel that we can use if we want our transition to be rendered in parallel for efficiency purposes. The last parameter indicates the types of animation that we want to apply. On the event handler for bunifuButton2 , we set the Visible property of the Bunifu Card control to false , because we want to hide it. We hope Bunifu Transition will help you create interactive user interfaces for your users.